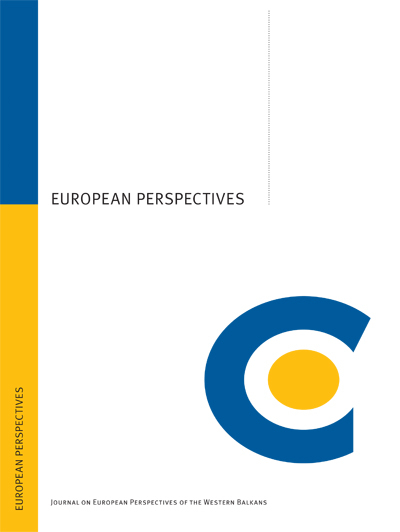 The scientific journal European Perspectives aims to provide a comprehensive source of analytical and theoretical articles in the field of defence and security, international relations, international law, economy and public administration. Focusing on the region of South East Europe (Western Balkans, Albania and Turkey) and the countries of the European Neighbourhood Policy the journal stimulates scientific dialogue, encourages expert research within above mentioned disciplines, offers a platform for exchange of views and builds a scientific network in the region. By its comprehensive scope the journal represents important reading for scholars as well as policy-makers from the region of South East Europe and EU. CEP has been issuing a scientific double blind peer reviewed journal between 2009 and 2017.